Join us in this week’s podcast to take a look at the latest big patch to hit Guild Wars 2 – The Gathering Storm. The Gathering Storm patch has gone live – here’s the patch notes. 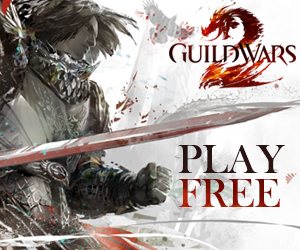 Angel McCoy talks about the evolution of the Living Story on the Guild Wars 2 website. 31 days of Gem Store sales has begun! All the info can be found here. A new payment method – paysafecard – is now accepted in the Gem Store. More details here. The Gem Store now has new hair and eye colours, as well as backpack covers and an updated Black Lion Chest. Click to view the official announcement. In sPvP, Paid Tournments have been replaced by Free Tournaments. 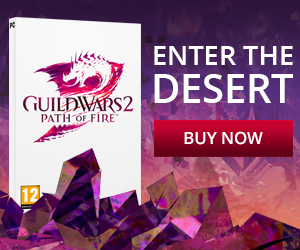 This comes from the official Guild Wars 2 website. How have our thoughts changed about the Living Story with the latest update? What else has this patch brought with it? Is there a possibility for a Canthan expansion in the future? Great Collapse = Canthan District in Divinity’s Reach (part of our Canthan expansion discussion).